Most times parents are excited for us to share their images online, sometime they don’t want us too and sometimes they are happy for us to share little detail shots that don’t identify them… all of the options are fine by us and we will absolutely honour your request, after all they are your children and your images! This little beauty is one of the later, Mum & Dad are happy for me to share some unidentifiable photos without names. So today I’m sharing some of what are actually some of my favourite shots… the little details you don’t want to forget but might not even think to photograph! Bald, a little or a lot it’s the spot you’ll find yourself rubbing a lot! 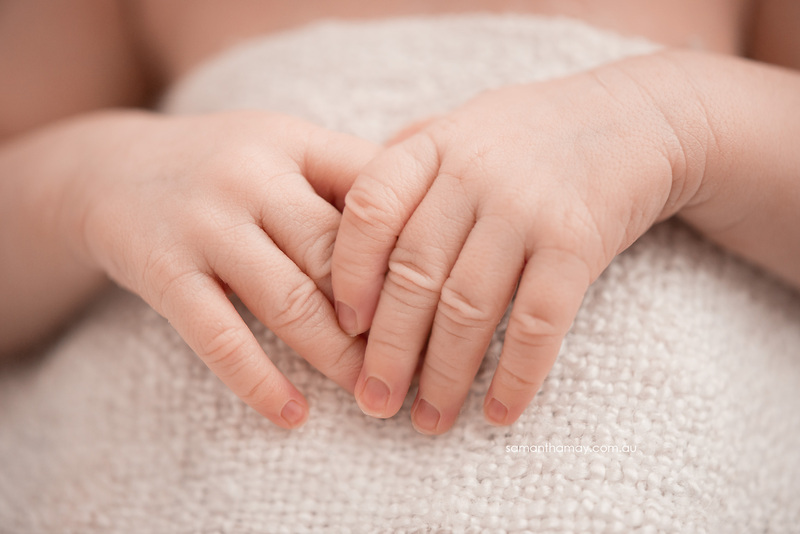 Just imagine the mischief these little perfect fingers are going to get up to in the next few years! Eyelashes, milia on the nose, lips, fingers and toes; Newborns really are something special! Those little milia spots on babies nose will be gone in a few days or weeks… *sigh* just one of the little signs your baby is already growing up. 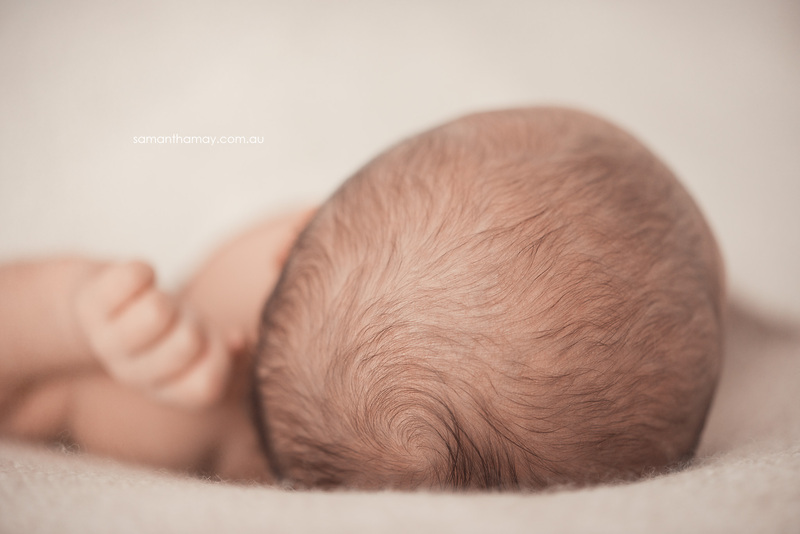 I am a professional Perth boutique newborn photographer and if you would like me to capture these fleeting little moments for you please contact me today! This entry was posted in Newborn Photographer and tagged baby, perth newborn, perth newborn photographer, willetton. Subscribe and receive a free copy of our ebook "5 Tips For Photographing Your Children"
Is your selfie worth your life? SS Impressions is our other family business, if you have visited our studio you would have seen Steven working as you came up the stairs. For all your Jewellery repairs, remakes, resizing and advice. Make sure you ask SS Impressions for a quote before you go any where else. Designer dress hire for sizes 4 -18, Labels on Loan can rent you a gorgeous dress to wear for your portraits. Samantha May Photography, Perth | AIPP Accredited Professional Photographer specialising in custom studio portraiture | maternity, newborn, baby, children and family portraits.